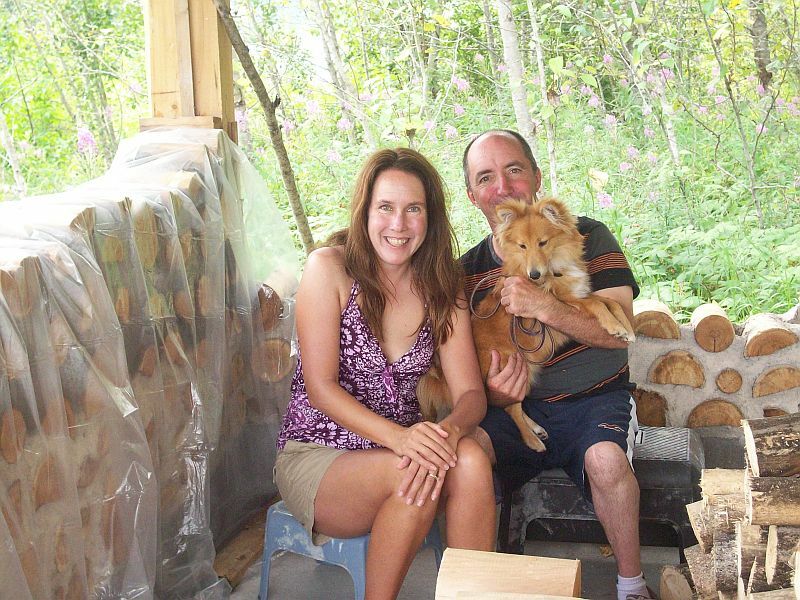 Tony & Denise came to one of our Cordwood Workshops at Kinstone Permaculture Academy in 2013. 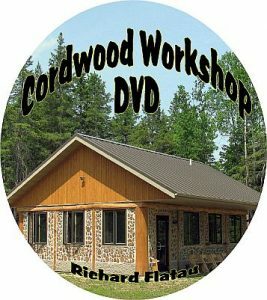 They were determined to build a cordwood sauna up on their property in the Iron Range of Minnesota. Here are some pictures and tips from their beautiful build. 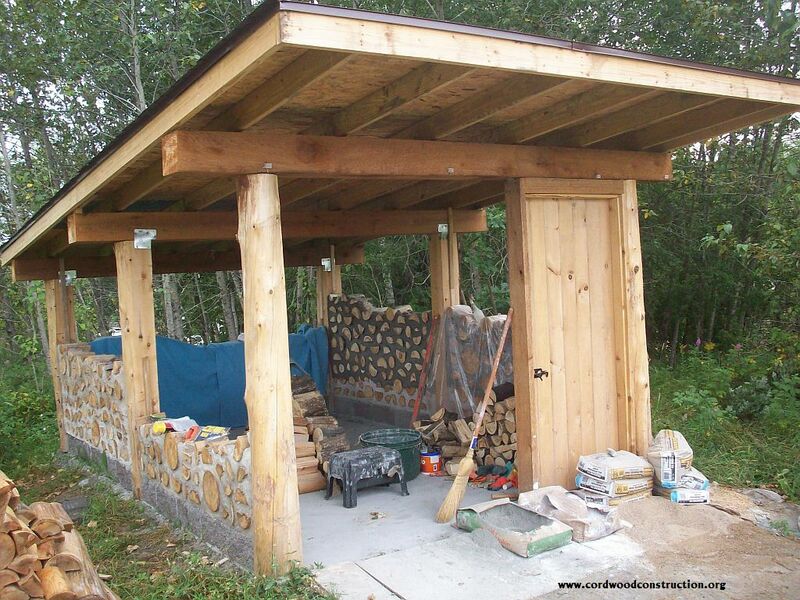 The sauna is progressing nicely during the summer of 2014. 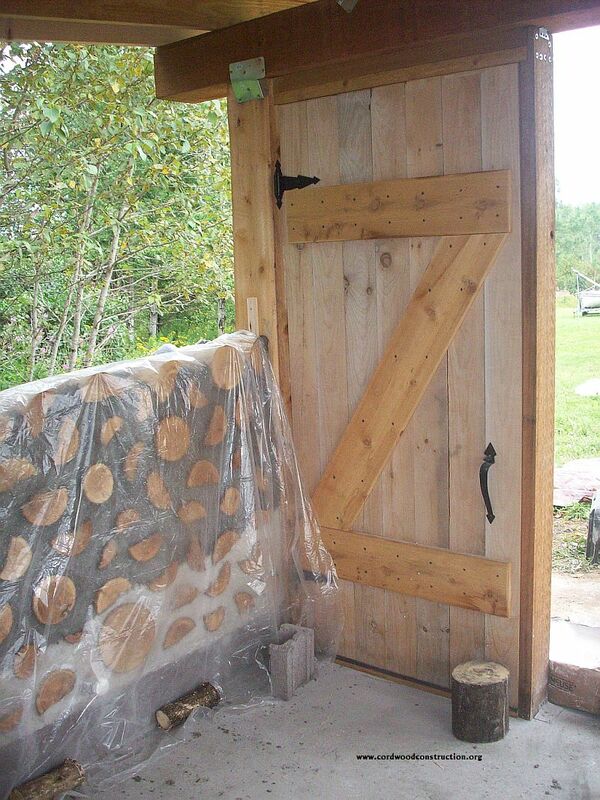 The hand built door is a very sturdy statement. 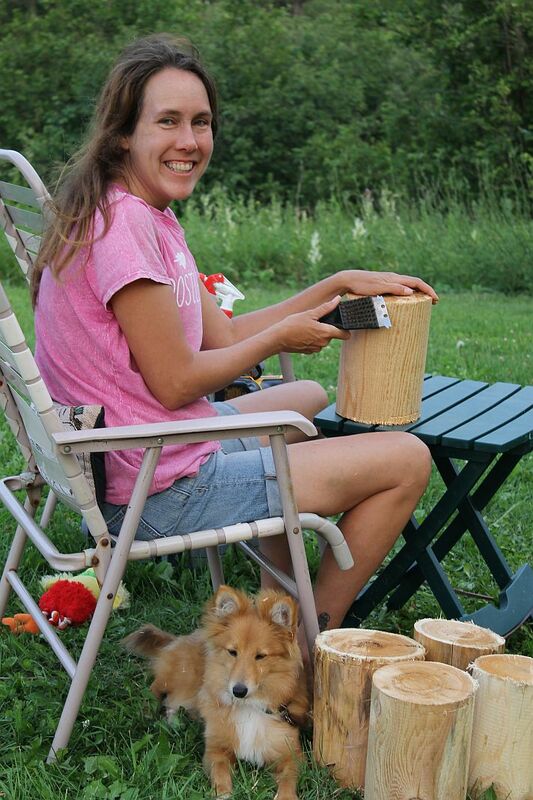 Denise lovingly cradles a peeled, dry piece of cedar. Denise & Tony and their new puppy! 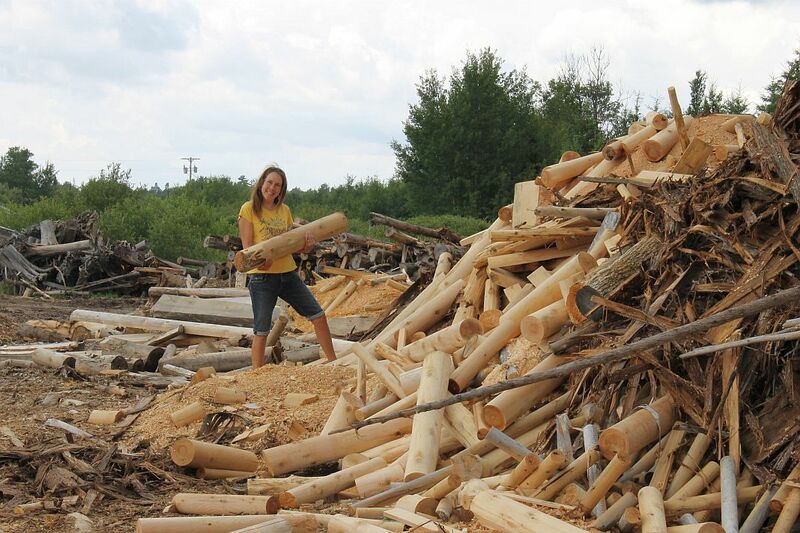 Cleaning log end edges with the puppy underneath. 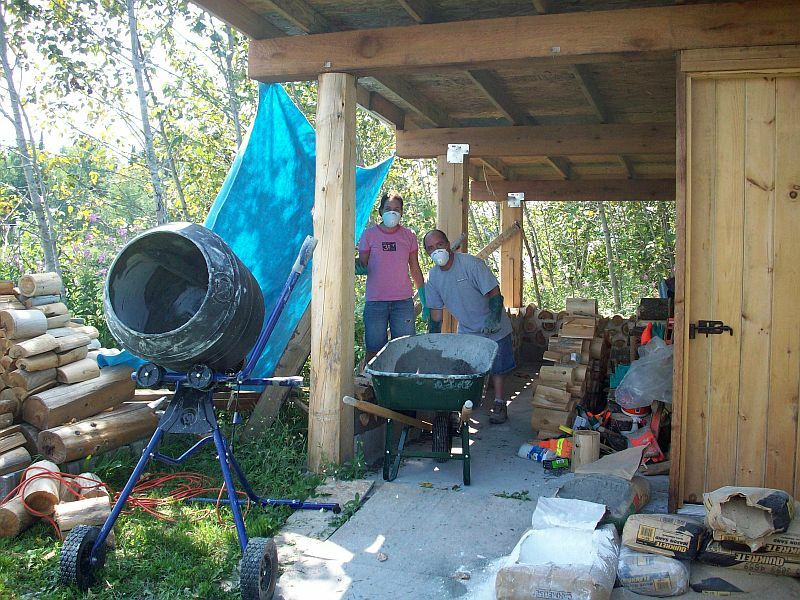 Safety equipment on, mortar mixed, ready to continue the walls! 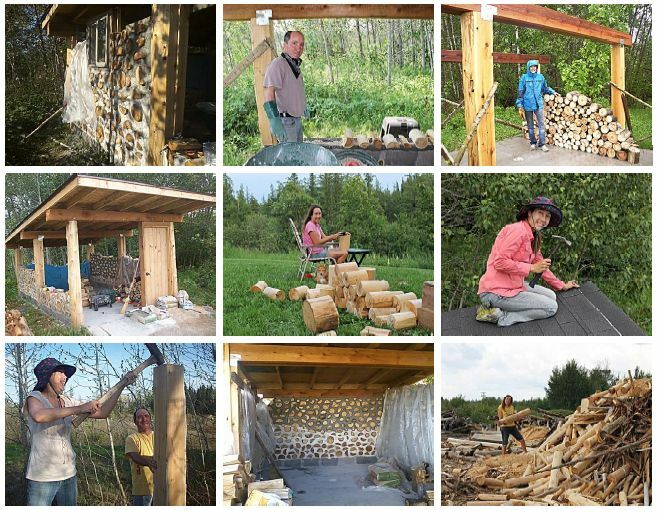 A collage of summer photos from the sauna build. Nice work Tony & Denise. If you would like to try this “at home” it would be a good idea to get some literature that will help you avoid mistakes and build with best practices. 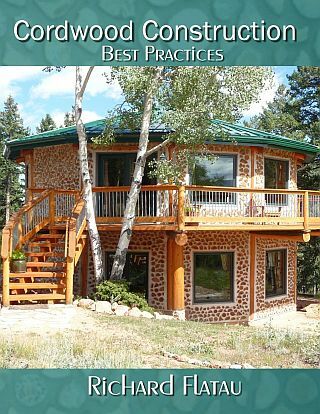 Cordwood Construction Best Practices is available (along with many other cordwood books) at www.cordwoodconstruction.org Click on the book cover to go to the Online Bookstore.